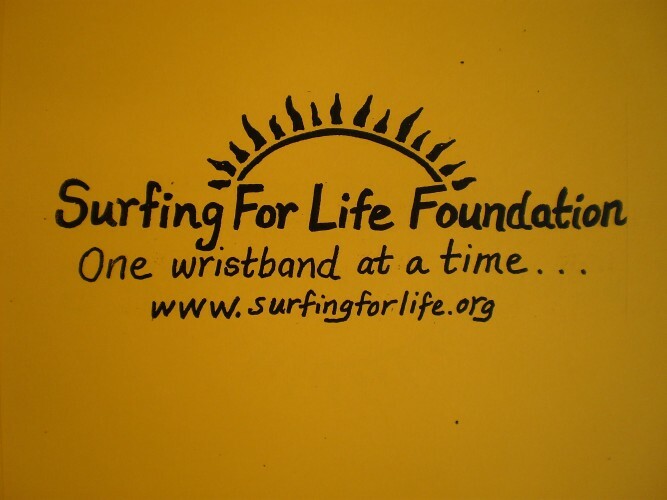 The Surfing for Life Foundation was formed to help bring awareness about cancer to the surfing community. The foundation is pleased to announce the distribution of funds for the 3rd quarter, and would like to thank surf shops around the globe for their continued support. "When I began this journey I had no idea where it would lead" states Tom Brown, founding director of The Surfing for Life Foundation. "My hope was to spread cancer awareness to the surfing community in a pro-active, healthy and positive way. It has been a very rewarding experience for me. All of you have touched me, educated and humbled me. Together we continue to raise money for cancer charities around the world," enthused Brown. A special thank you goes out to First Descents of Colorado, Surf Happens of Santa Barbara, Paddle for Daisy and the Christian Surfers Association for allowing me to participate in their camps and events – helping to raise awareness about families and individuals who have been touched by cancer. Surfing for Life Foundation would also like to thank the new shops recently jumping onboard for the cause: Proof Lab (Mill Valley), Live Water (Stinson Beach), Bodega Bay Surf Shop (Bodega Bay), Northern Lights (Sebastopol), Sonoma Coast Surf Shop (Petaluma), Fat Kat (Fairfax), and Surfer's Attic in Scotland. This brings the total distribution of wristbands to 165 surf shops in 14 countries around the globe.